Perfect if you’re a keen home chef to roast vegetables (especially potatoes), baste roasts and even make your own confit. 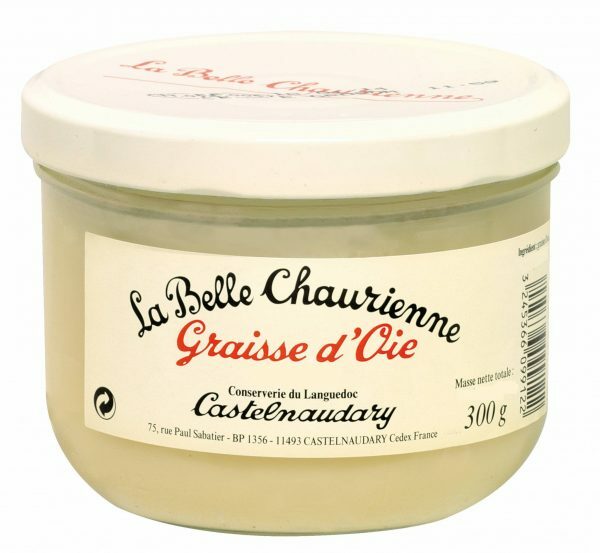 Goose fat gives a certain “je ne sais quoi” and is really the best ingredient for roasting potatoes. Storage: Store in a cool cupboard. Once open store in fridge up to 6 months. Nutritional Information: Per 100g : 3651 kJ (888 kcal) Fat : 98.7g of which Saturated : 31.2g / Carbohydrates : 0g/ Protein : 0.5g / Salt : 0.08g. © Copyright: The Good Food Network 2019. Website Design: Pad Creative. Last day to order before Easter is up to midnight Tuesday 16th April. The Good Food Network then closes for Easter from Wednesday 17th April to Friday 26th April. Orders placed today will reach you Wednesday 17th April. And we are including a complimentary country pate with truffle from Perigord with all orders as a thank you!